Premier Clean York offer you peace of mind with our guarantee. If you are not completely happy with our work we will rectify the next day or same day if still in the area. We are always on time and in fact we call the same day every month so you can depend on us to be like clockwork. Only extreme weather slows us down like high winds which for health & safety reasons we would stop. Also torrential rain we don’t work in but if only a shower we will work through this. We guarantee that we will close all gates and leave your property as we found it. No rubbish left behind plus none of our staff smoke so no chance of cigarettes been left behind. Respect for your property and don’t walk on roofs unnecessary and we use ladder mitts (Urethane foam covers) to protect your property whenever the ladder is rested against any surface. We use traditional methods & reach & wash technology and our water is tested twice a day for purity using a TDS meter (total dissolved solids). 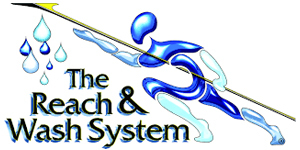 We use a top end Ionics Reach & Wash machine. Our unique rain guarantee. No other company offer this ! 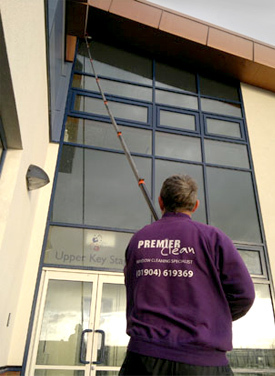 If it rains within 24 hours of us cleaning the windows and you are not happy with the way the windows look we will clean again free of charge within 48 hours of our initial visit. 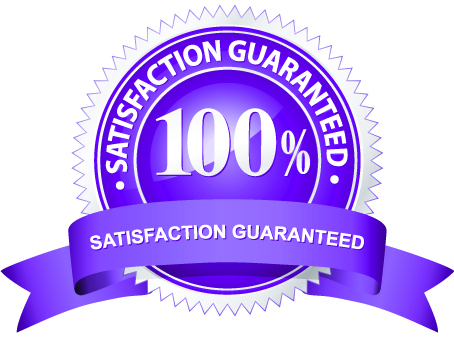 Put our two guarantees with all our credentials listed below and you can see why Premier clean is so popular. We are changing the industry for the better. £5m Public liability & £10M employers Liability for your peace of mind. 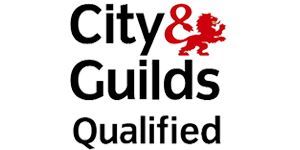 City & Guild trained as well as manufacture operating certificates held. 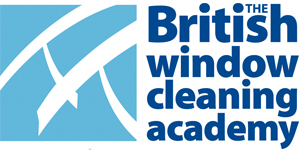 Only 1 in 20 of those who apply become a Premier Clean operative as we are very selective.